Breast cancer has for long been recognized as a highly diverse tumor group, but the underlying genetic basis has been elusive. Here, we report an extensive molecular characterization of a collection of 41 human breast cancer cell lines. Protein and gene expression analyses indicated that the collection of breast cancer cell lines has retained most, if not all, molecular characteristics that are typical for clinical breast cancers. Gene mutation analyses identified 146 oncogenic mutations among 27 well-known cancer genes, amounting to an average of 3.6 mutations per cell line. Mutations in genes from the p53, RB and PI3K tumor suppressor pathways were widespread among all breast cancer cell lines. Most important, we have identified two gene mutation profiles that are specifically associated with luminal-type and basal-type breast cancer cell lines. The luminal mutation profile involved E-cadherin and MAP2K4 gene mutations and amplifications of Cyclin D1, ERBB2 and HDM2, whereas the basal mutation profile involved BRCA1, RB1, RAS and BRAF gene mutations and deletions of p16 and p14ARF. These subtype-specific gene mutation profiles constitute a genetic basis for the heterogeneity observed among human breast cancers, providing clues for their underlying biology and providing guidance for targeted pharmacogenetic intervention in breast cancer patients. Antoinette Hollestelle and Jord H. A. Nagel contributed equally to this work. The online version of this article (doi: 10.1007/s10549-009-0460-8) contains supplementary material, which is available to authorized users. 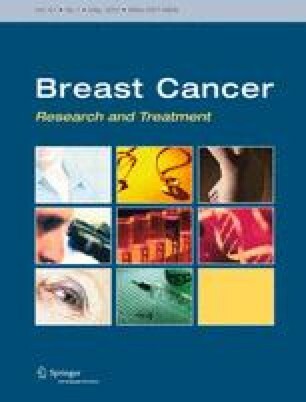 We received grant support from Susan G. Komen Breast Cancer Foundation, Erasmus MC Mrace, Dutch Cancer Society, Netherlands Genomics Initiative (NGI)/Netherlands Organization for Scientific Research (NWO), Association for International Cancer Research and Survivorsland Foundation, Vlissingen, The Netherlands. We appreciate the technical assistance of Michel Molier, Sofia Zuňiga, Mieke Timmermans, Jurjen J. Boonstra, Hein Sleddens and members of the Pathology Immunohistochemistry laboratories at Erasmus MC. We thank Dr. Jörg Volkland, Dr. Nelleke Gruis, Dr. Goos van Muijen and Dr. Jan Verheijen for kindly providing us with M14 cells.